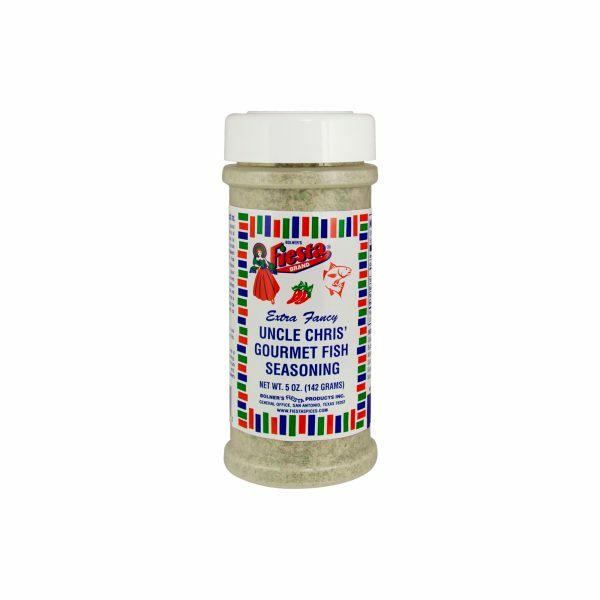 Just sprinkle your favorite fish liberally with Bolner’s Fiesta Brand® Uncle Chris’ Gourmet Fish Seasoning up to 30 minutes before cooking for maximum flavor development. Broil or bake fish in oven until the fish flakes. If grilling skinless filets, place filet on a piece of foil and grill directly over hot coals. If the fish is skin-on, it can be placed directly on the grill skin side down. Cook until the fish flakes. Uncle Chris’ Gourmet Fish Seasoning is also fantastic on grilled chicken, beef, ribs, lamb, and vegetables! 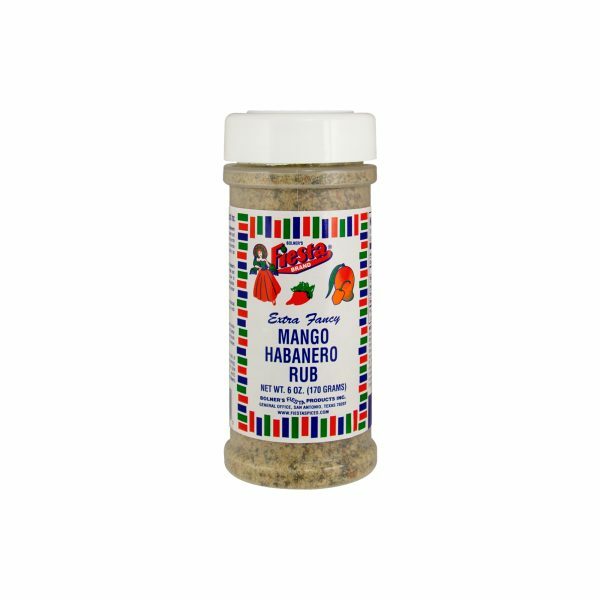 Salt, Monosodium Glutamate, Spices, Onion, Garlic, Butter Flavor (Corn Starch, Modified Tapioca Starch, Dextrose, Gum Arabic, and Artificial Flavor), Sugar, Bell Pepper, Citric Acid, and Natural Extractives of Lemon. Non-Irradiated and Gluten Free. Serving Size ¼ tsp (1 g), Amounts per Serving: Calories 0g, Total Fat 0g (0%DV*), Sodium: 170mg (7%DV), Total Carb 0g (0%DV), Protein 0g. *Percent Daily Values (DV) are based on a 2,000 Calorie Diet.